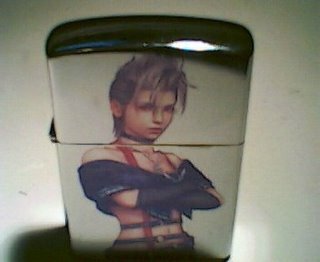 I was passing by a comic shop where I saw this lighter. It has a character From the Game Final Fantasy. Looking at this lighter, it brought me back some happy memories. Memories of how I had so much fun playing with the Video Game without any Drugs. Sad....... but memorys of me being clean and having so much fun over simple things. When are you ever gonna keep your promises? Chemical dependency is a devastating disease that affects millions of individuals and families. Find the right addiction program for yourself or a loved. It will be the first day of the rest of their or your life. Drug and alcohol addiction is a devastating disease that affects millions of individuals and families. Find the right alcohol treatment program for yourself or a loved. It will be the first day of the rest of their or your life.